Fasting depletes the beneficial bacteria because large quantities of toxins are dumped from the lymph glands into the colon. There is little food substance left on which the bacteria can live. Using the enema kit also depletes the beneficial bacteria, especially if chlorinated water is used. To re-establish intestinal bacteria, purchase plain yogurt with the correct lacto-bacteria content such as President Choice or Astro’s Biobest. Most other brands will not work because the culture contained in them is the type found in animals’ intestines. You may use acidophilus and bifidus capsules available in health food stores. Mix one tablespoon of yogurt or 2 capsules with one-half cup of water. You may add some warm water but do not heat the mixture or use tap water due to chlorine. After blending the mixture, add it to the enema kit, hanging it high. Try to retain the mixture for ten minutes allowing the beneficial bacteria to pass up through the intestine. This procedure will ensure a healthy culture that will propagate indefinitely without further implants. Bifidus and acidophilus capsules are heavily encapsulated to prevent destruction of the bacteria by stomach acid. On the day before you break the fast, before eating, swallow two capsules with a glass of warm water. 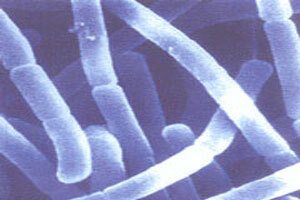 It will take four days for the bacteria to reproduce themselves into a healthy culture. Having a healthy intestine is vital to a healthy body. Eating over-processed, fiber-less foods has resulted in sickness and disease because of a dysfunctional colon. Eighty-percent of all the nutrients from food are absorbed through the intestine. If we eat the way God intended, our intestine will be healthy and clean. God has designed our food with a healthy intestine in mind. You mentioned using anema to introduce to beneficial bacteria and also swallowing Bifidus and acidophilus capsules. Do you mean to do both or just one method? When should one use the anema when breaking a fast? The enema is 100 percent sure. But you can do both. There are capsules designed to pass the stomach acid so you could just take the caps. Use on the last time the enema is used when breaking the fast. Thanks for your great tips on fasting! I’ve always had great results from fasting. I’ve done two 3 week fasts, one juice and one water only. Currently I have a candida overgrowth due to antibiotics I took. I saw your suggestions on the restricted juice fasting (mostly greens). Should I take a probiotic while I fast to help re-establish my good bacteria, or is this not necessary until I’m through fasting? Also, what about salt water cleansing? When I did the Masters Cleanse for 3 weeks, I drank 4 cups warm water with 2 teaspoons sea salt each morning and it cleaned out my colon. The night before I drank senna tea to lossen the bowel. Is the salt water beneficial for the candida and would you recommend this? Yes take probiotics during fasting for Candida. Salt water cleansing is good for candida as well as using it for a vaginal flush. A salt water enema is good. But start with a table spoon mixed in lukewarm water. You could increase the salt content if you still feel good. You can also take several herbs or teas with the fast. I am from Norway, and I just wanted to comment on you`re candida, and maybe get some advise. I have the same myself, and found out by searching a lot on the web, comparing symptoms. Doctors don`t even know what I`m talking about, when I say I have candida. Well, but I found out that there is some ways to cure it. Becouse I`ve been traying just about anything. And fasting is one of them, but you got to do it for some period. And be really carefull about what you`re eating afterwards. It`s a fungus, and so when you get wet, afterwards you should dry really well. If you noticed, that were you got the skin problems, is the places where you normally dont dry well wtih a towl. I got rid of my skin problems after 30 days of sun and bathing in salt water. But the problem continues in you`re intestine, so fasting is probably the best way to get rid of the candida, and not only the symptoms. Too much food too fast. Water fasting shuts down digestion and you need to go slow. Lack of digestive enzymes can cause gas. Try juice for a few days. Juice fasting for 2 to 3 days after waterfasting is the best way to prepare for breaking the fast. Try fasting for one day and that will correct the problem. ive done this quite a few times now…and it seems i cant eat more than a salad and a few pieces of fruit without gettin a huge stomach and feelin ill…like yesterday i didnt eat ”THAT” much….i DID drink just juices before eating aswell…..
Fasting is individual and each person has different tolerances so for you I guess your breaking period is longer than most. I read somewhere that if you have a history of mental illness in your family you should not fast. Is this statement valid, I have a grandma who is bipolar. Just the opposite. Fasting will protect you and can heal mental illness. I have seen people that were clinically insane, and unable to function in society, recover their senses in 3 days. You need a long juice fast for sure. But, if your kidneys start to hurt you should add 2 egg blended into the juice and even some banana blended. Adding, ginger and garlic in the juice to fight off the Candida. Clove tea is good. Celery and cucumber as good as they supply lots of nutrition and few calories. Using the enema will help. You colon may be toxic. The kidneys have to filter the toxins and can be hard on damaged kidneys so get ready to slow the detox. Drink as much as you like. Lots of water is not important as without digestion the body does not need much water unless you are sweating. Yes use the enema once per day for the first 3 day then every 2 or third day after that. Spring or distilled water is good. Tongue color changes through the fast. Best is to fast until you are feeling amazing. After 50 days of juice fasting the tongue can still be coated. My internet is cutting out so here is the 4 th time to answer your post. The tongue changes color throughout the fast and can be coated after 60 days of juice fasting. o ok i c. as soon as you told me the things to use i went to the supermarket this morning i bought some eggs, bananas, garlic, ginger, celery, cucumber. it is a strong drink i must add. hard tod rink. very hard to drink. the eggs and bannas could be of great use if i am dealing with b vitamin deficiency but when do you think i should ween off the eggs and banana just curious? Tom, im really worried i been having pain in my neck. Maybe it is from B12 deficiency. does weak kidney cause neck pain from your experiences? Taking a multi B during a juice fast is excellent. Usually fasting causes various pains throughout the body. 1, during catabolism breaking down fat or cellular tissue releases some toxic stuff into the blood that irritates the muscles. There an also be a deeper healing and old wound start to hurt for a period. You can also sleep very deep on a fast and get a pain in the neck. Wait to see if it persists for over a week. Usually vitamin deficiency does not cause neck pain. Guilt can and also alcohol. Can you explain a bit more about catabolism? During my 10 day water fast I still had bowel movements, even though I took a couple enemas. Now on day 15 I juiced this morning and had another one, kind of a regular-kind of one, which makes me happy. But where is this stuff coming from? That is my question. If I am catabolising bad stuff in my body, old stuff in the colon, maybe tumors, who knows what, and this ends up being filtered by the liver and kidneys, does this turn into a bowel movement? Sorry to be bringing up stuff like this, but I don’t think I have lost any weight on over two weeks of eating next to nothing, and yet I had bowel movements throughout. Also, what effect do you think chicken broth would have on my fast? Thanks so much for your great site and excellent information you share to help people. Fasting and taking chicken broth will slow the fast and reduce weight loss. During catabolism, cell are broken down to molecules to be reused or eliminated. In my opinion, mostly through the kidneys. That would be an interesting research topic. The bowel moments are usually from pulp in the juice. okay ima keep trying thanks alot for the response. i’m on an exteneded water fast right now, it’s day 3 and goin great. i was gonna break it with(1/2 the amount of days i stay on water) green juices and then introduce raw milk for about a week to get some probiotics in there. Now i know yogurt and kefir are touted for thier probiotic nature but i still don’t like the idea of taking in pasteurized dairy. Curious wat your view are on raw milk/dairy for probiotic. i’m not worried because i also have a months supply of capsules i pick up at whole foods, im just curious curious of your views/experience on raw milk. After a long water fast any milk product clogs the sinuses but the probiotic capsule do not and do a great job.